Water is a precious commodity without which the human organism cannot survive. However, the pure enjoyment of water is by far the smallest part of the water consumption. In private households, most of the cool water is actually consumed by toilet flushing and the washing machine. This generally uses precious drinking water even though plain rainwater would be sufficient. Anyone who decides to use rainwater saves on water costs, protects drinking water reserves and relieves ducts and sewage plants in areas where there are heavy rainfalls. However, not all arguments support this kind of rainwater usage. 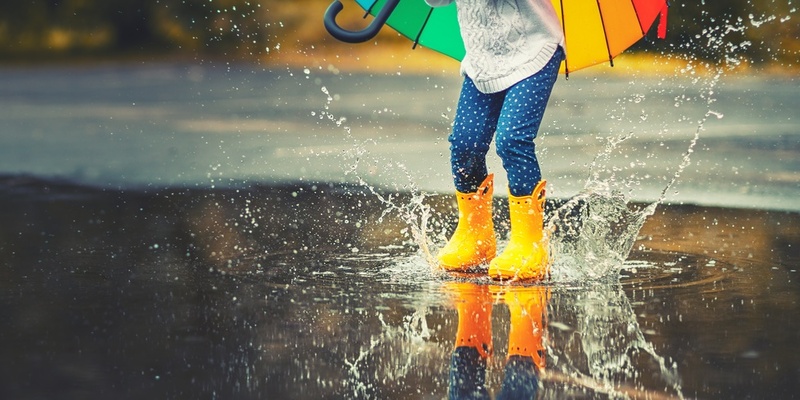 Annual rainfall in Germany is on average between 790 and 820 milliliters or liters per square meter. Multiplied by the area of a house, it all adds up to a lot of rainwater. About 60 percent of it can be put to household use for toilets and washing machines. However, before starting, different kinds of construction measures are necessary. First of all, you need a rainwater storage tank. Where there is sufficient space, a plastic container may be installed inside the house, otherwise the installation of an underground plastic or concrete cistern is possible. The latter may be made either of shaft rings or may be a monolithic construction for better sealing. To protect against overflow, the tank should be connected to the sewer or a drainage system. The tank is connected to the water draining from the roof by a rainwater filter. To use the collected water, a suction pump transports via its own pipeline to the place where it is needed. The separate network must be visually different from the fresh water pipe in order to prevent confusion, because you should not take showers, cook or even drink rainwater for hygienic reasons. Anyone who is looking for an easy way to save money by using rainwater would be better off using another cost-saving measure. Depending on the personal contribution, the costs for an entire system are between 2,500 and 5,000 euros. Additionally, about 100 euros are required annually for maintenance. By using rainwater for toilet flushing, washing and watering the garden, a four-person household can save about 60 cubic meters annually. Where wastewater fees are charged for the rainwater, up to 200 euros a year can be saved. If there are no fees, this can amount to up to 300 euros. The payback period is thus more than ten years. As rainwater is extremely deficient in lime, about 20 percent less laundry detergent is needed. This is beneficial both ecologically and financially, however, has a hygienic disadvantage. The actual washing removes harmful germs in the rainwater of through the detergent and high temperatures. But parasites in the cold rainwater which is then used to rinse the laundry can survive and be transferred to the laundry, making it a hazard to people with weakened immune systems. The remedy to this problem is either to then iron the cloths or use special water filters. The German Federal Environment Agency advises against using rainwater with certain roofing materials such as zinc and copper. Here, the rainwater may include polluting soluble and insoluble metallic compounds. Asphalt sheeting (as in roofing felt) is also a problem, as biocides, such as terbutyrine, may be released. The most reasonable usage of rainwater is, according to the German Federal Environment Agency, not toilet flushing or the washing machine, but for watering plants because the soft rainwater is better for them than hard tap water. In water-rich Germany, the ecological and economical sense of using rainwater for toilets and washing machines largely depends on the individual case. Previous post: Industrial buildings: The ugly ducklings of architecture?